Many bats who develop white-nose syndrome face the same rude awakening. Stirred from their slumber by a fungal infection on their bodies, they emerge into a harsh winter landscape where the insects that make up their diet are themselves dormant for the season. With no food to sustain them, the bats typically burn through their fat stores and die from starvation. Two northern long-eared bats headed out for a snack on a warm(ish) February night. As part of our efforts to understand how small populations of northern long-eared bats are persisting on coastal islands, BiodiversityWorks has begun studying the winter food sources that may be helping them survive. 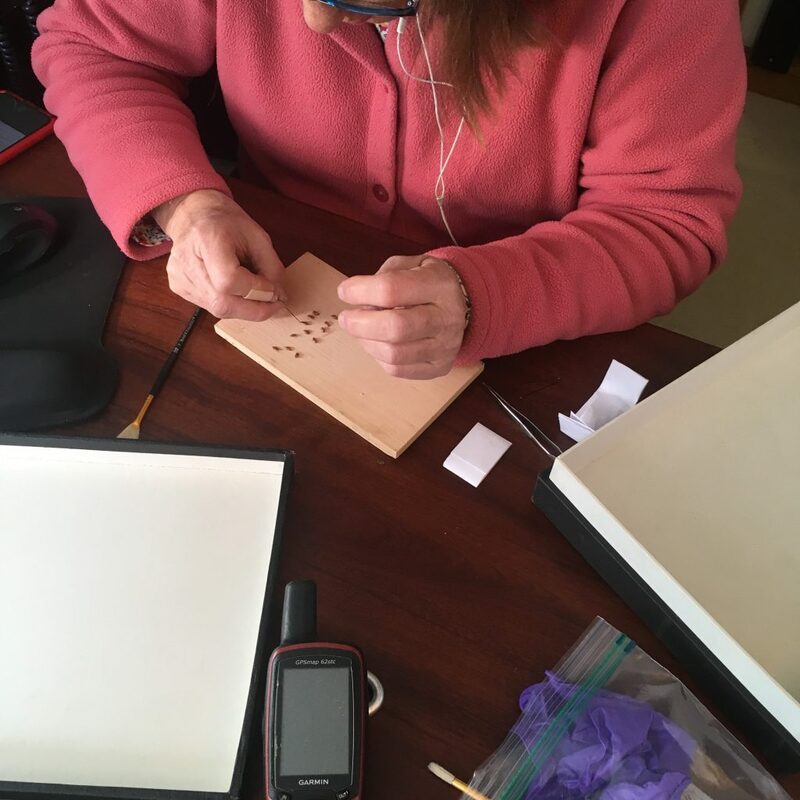 Graduate student Casey Pendergast at SUNY-Albany, along with researchers from the New York state Department of Environmental Conservation, are leading the study, with collaborators surveying insects on the Vineyard as well as Nantucket and Long Island. 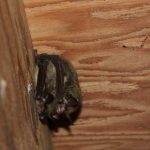 Milder climates on all three islands may be allowing small populations of insects to remain active during the winter, which in turn provides a food source for northern long-eared bats who may awaken from hibernation to feed on nights with mild temperatures. 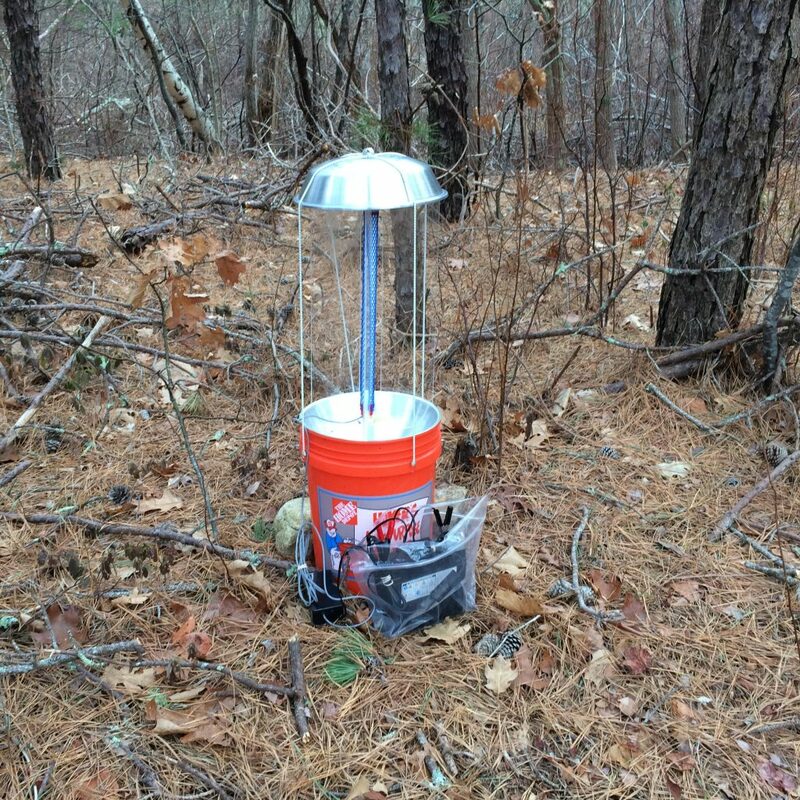 To test this hypothesis, we have deployed insect traps at two sites where northerns have been observed in the last year. 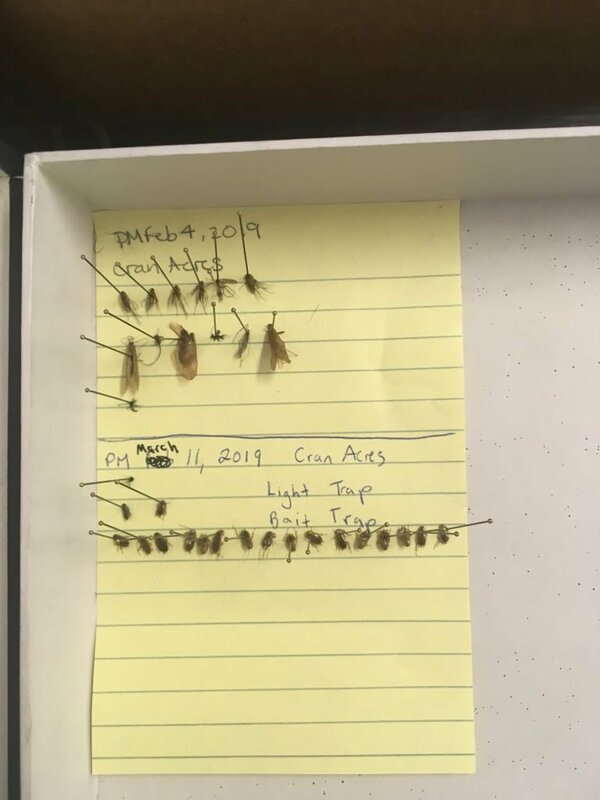 Our four initial surveys have turned up 41 insects at Simon Hickman’s property in West Tisbury, where four northerns are now spending the winter; and 38 at Cranberry Acres, where we captured four northerns last spring. Most of the insects we have found so far have been fly species. 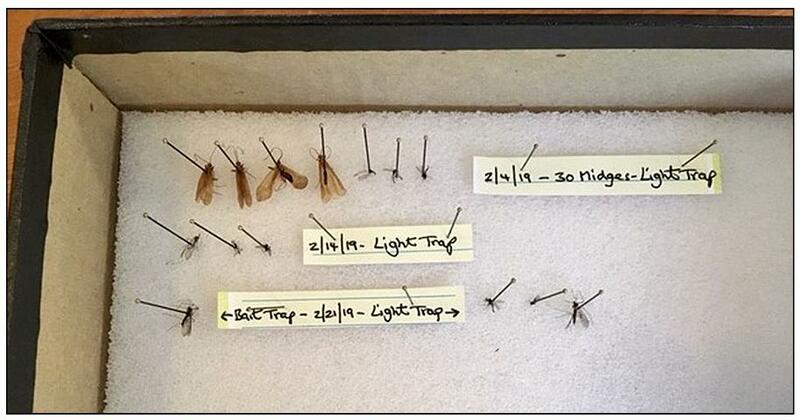 This summer, Casey will work to identify the insects captured on all three islands. Volunteers Penny Uhlendorf, Scott Stephens, Margaret Curtin, Sharon and John Pearson, and Nancy Weaver have generously volunteered to conduct the surveys, which occur on nights when the temperature exceeds 35°F. The surveys will continue once a week until April, when northerns tend to emerge naturally from hibernation. We hope to begin the process earlier next year, and possibly add some sites to the list. Using acoustic detectors, and a video camera installed by Walter Malsch, from The Daily Compute. 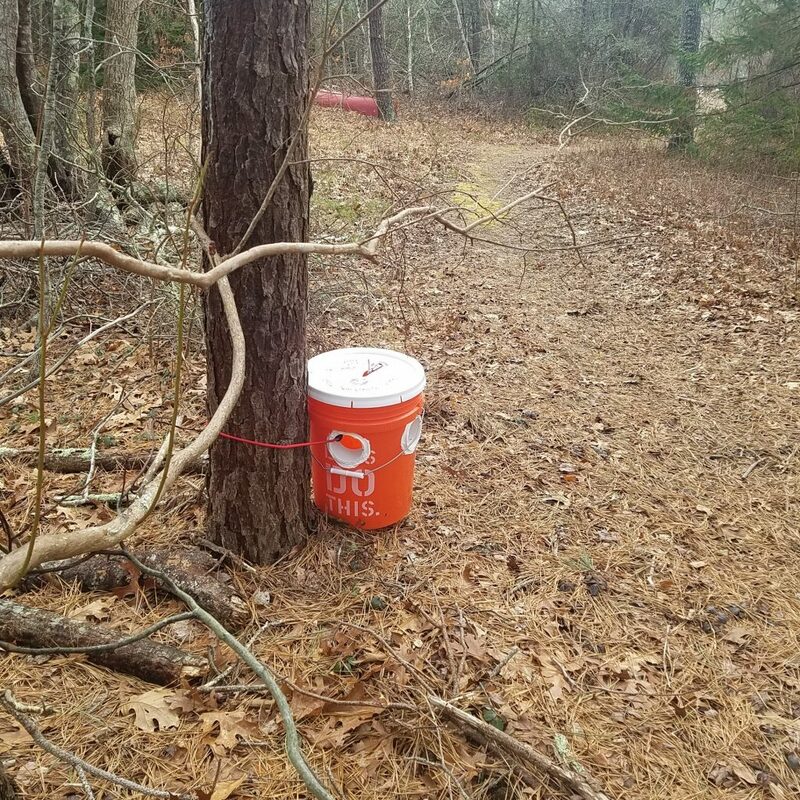 We have observed active northerns both within and around the hibernaculum in West Tisbury, mostly within a day or two of the surveys, which means those bats had a potential food source outside. If you see bats flying around a cellar, crawl space, or basement as you do your spring cleaning, please email us at info@biodiversityworksmv.org or call us at 800-690-0993 ext. 1. They may be northerns just awakening from a winter nap or getting ready to head to their summer colonies.